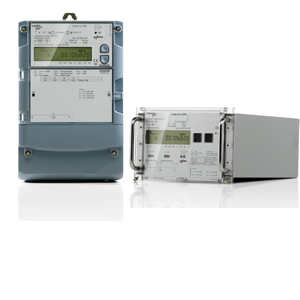 The E850 is a high-precision electricity meter designed for power plants, photovoltaics, on-shore and off-shore wind farms, transmission networks, substations, railway infrastructure and grid-connected commercial and industrial consumers. The exceptionally fast measurement system, high data resolution and proven operational security make E850 the preferred choice for customers seeking to improve billing accuracy, network operation, electricity exchange, load frequency control, measuring and recording flows of electricity and other grid applications. The grid meter offers top accuracy and long-term stability in energy measurement under all operational conditions. The highest metering accuracy generates savings for the customers and the precision is guaranteed even at the lowest load of 2% in a singe phase operation, unbalanced or cos φ below 1. The E850 powerful measurement system is five times faster than in industrial meters and it provides sufficient resolution for capture periods under 15 minutes (1 to 5 minutes) and accurate measurement when energy direction changes. With the track record of successful deployments across 70 countries worldwide, the E850 metering solution has proved its reliability and top performance in all types of environments.